Dual radio 2x2 2-stream 802.11a/b/g/n/ac Wall Plate Access Point with integrated antennas and two 10/100 BASE-T ports. 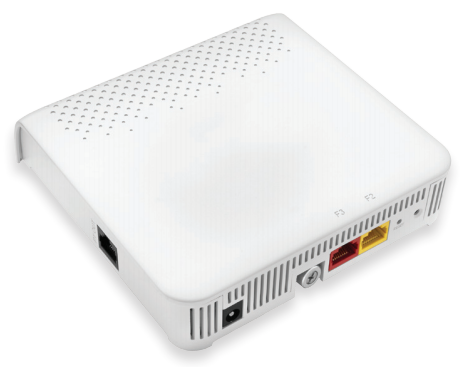 Powered by PoE (Power over Ethernet) 802.3af/802.3at, or external power adapter (sold separately). The AP122 is the first wall plate access point specifically designed to meet the ever-increasing mobile data needs of hotel guests and resident college and university students. With gigabit-data rates, the AP122 is perfectly suited for in-room deployment needs of the hotel, cruise line and highereducation residence-hall markets. Designed to be placed in any location flush to a wall, the AP122 can be installed by standard service personnel using existing CAT5/6 cabling connected from a standard wall junction box. For wired connectivity, it features two 10/100 BASE-T switch ports to support a range of in-room IP device and user connectivity options. Additionally, one of the wired ports can operate as an IEEE 802.3af-compliant PoE Out port offering up to 13 watts of power, capable of powering devices such as IP telephones. This reduces costs in additional cabling, switch ports, and power sourcing equipment. An additional pass-through port allows connectivity for digital phones and a USB port offers options for future uses. Like other Fortinet access points, the AP122 integrates seamlessly with our Network Manager, Fortinet Connect, and other application solutions to bring intelligent management and resilient wireless services to your network. The AP122 is ideal for supporting IP-based services such as VoIP, IPTV, high-speed Internet access and in-room device connectivity. Additionally, Fortinet’s Virtual Cell, single-channel option uniquely allows the AP122 to support pervasively, full channel 802.11ac in real-world deployments, which more than double the data rate over legacy 802.11n solutions. This architecture also greatly simplifies RF coverage planning and significantly reduces wireless LAN (WLAN) deployment costs. One 10/100 Mbps BASE-T Ethernet RJ45 port with PoE Out support.